When one of your favourite bands comes back to town and you’ve not seen them for YEARS and they bring with them a new band you’ve only just discovered and think are pretty cool and it’s in an old church and it turns out to be one of the best gigs of the year. That. It’s been eight years since we first saw MANCHESTER ORCHESTRA support Biffy Clyro at Leeds Academy and we’ve caught them each time they head over to the UK with another cracking album in tow. 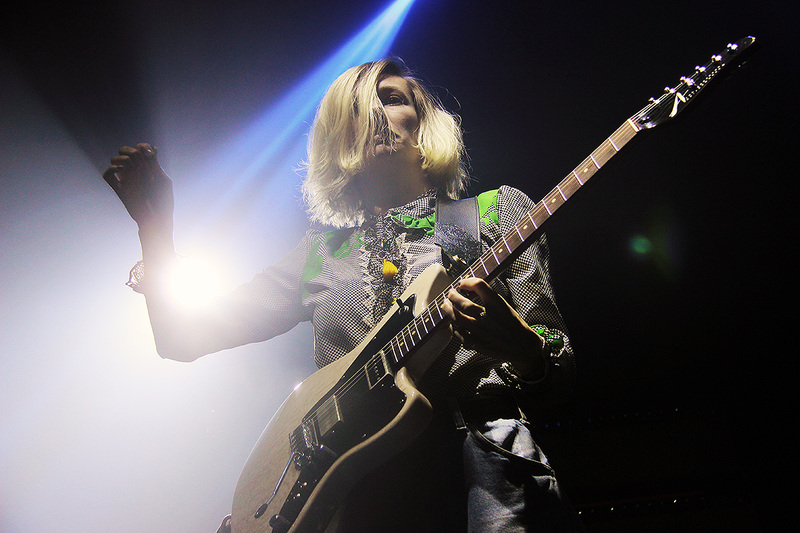 The chance to see them in one of Leeds’ newest – and coolest – venues was not to be missed. 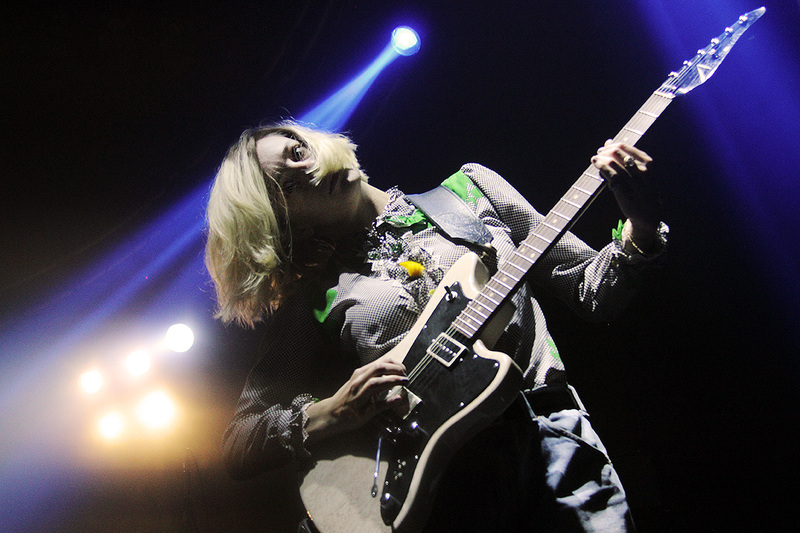 Especially as they’d be bringing Brooklyn-via-Boston post-punk trio SLOTHRUST along for the ride. Craftily blending nonchelance and vitality with a wicked mix of slacker-pop, 90s surf-fused garage-rock and intricate post-punk jazz, the three-piece strike a mean balance between noise and melody. It’s pretty rad. Singer/guitarist Leah Wellbaum spends 90% of the set hiding behind her bleach-blonde hair, her apathetic vocal delivery oozing almost beach-hippy vibes until she explodes with child-like giddiness and the riffs get fuzzier and the drums pound harder. It’s a slick introduction to Slothrust (sloth-rust not slo-thrust, unfortunately), making their Leeds debut tonight. With three albums under their collective belts, we wish we could have been treated to more than just a half-hour set, but we’ll have to settle with the 30-minute thrill ride and wait for their return to the city – and to a bigger crowd. 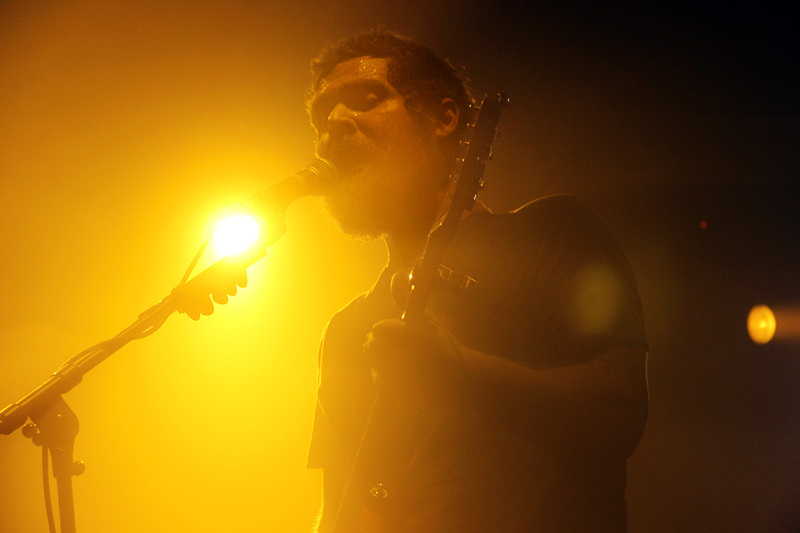 Manchester Orchestra clearly need no introduction. This show sold out in no time, and the way half the crowd were singing back every word to the dimly-lit Andy Hull, whose voice echoing around these (former) holy surroundings will have given even the coolest of hipsters a good dose of goosebumps. Opening with the first three tracks from their new album, A Black Mile To The Surface, a clash of delicate, haunting vocals and driving guitars pave the way for a set focusing heavily on album number five. This means there are more sweeping cinematic sounds slowly building around Hull’s inimitable vocals, and the tempo doesn’t travel much beyond the mid range for a lot of the set. But when it does, it’s glorious. Shake It Out – a burst of wired guitars and fervent choruses – jolts us from the heartfelt retrospection and reminds us just how powerful Manchester Orchestra can be whether it’s through alt-folk tenderness or near-punk thrashing. Imagine Fleet Foxes morphing into Brand New and back again at the drop of a hat and you’ll be pretty much there. About an hour into the show, it’s only until Hull introduces Simple Math with a story about an injury-laden visit to Santiagos in Leeds, that we realise he’s not spoken a single word to the crowd up to this point, so transfixed we are in the sprawling soundscape created by the Atlanta four-piece. The River serves as one hell of a set-closer, slow-burning its way to a massive, pounding climax. 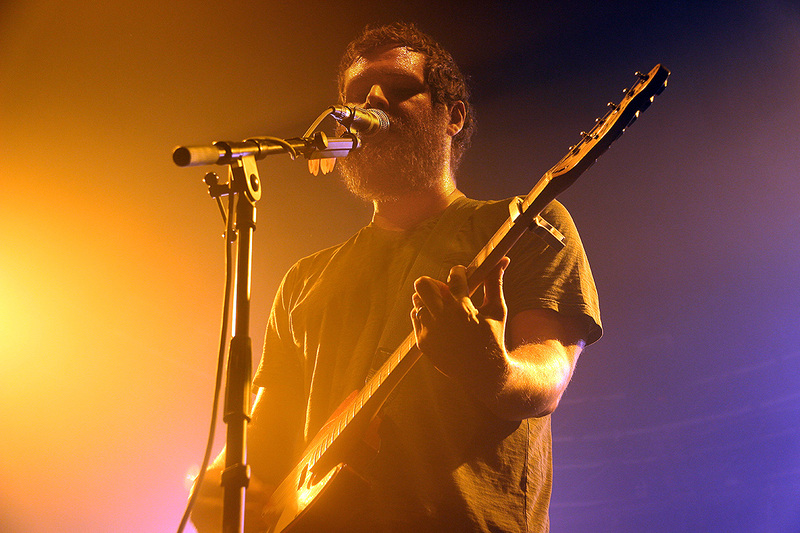 To see Manchester Orchestra in a former church seems to be a fitting experience – the religious anxieties woven into many of their soul-baring songs seem more euphoric (if fairly ironic) tonight.